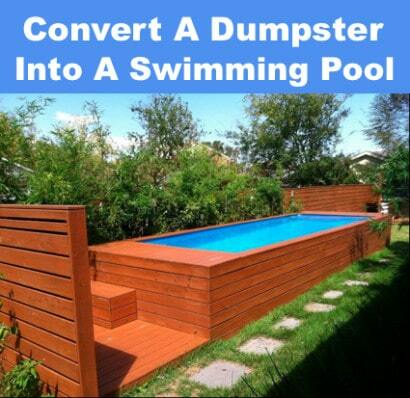 The designer and builder of this dumpster swimming pool photographed is Stefan Beese of New Orleans. He used a 40 yard dumpster that he says anyone buy for about $1500-$2500. Beese finished off the inside and outside of the pool, plus made sure there was a compartment for all the pumps. The bonus feature of this beautiful pool is that it can be moved. So, should Beese and his family decide to relocate they can transport their pool to their new home. Watch the video below to view see Beese explaining how he built it. If you’re interested in building your own swimming pool then you’ll be inspired by Beese. i’d like more info on the dumpster pool but the link isn’t loading??? The original source modified their link. We added a video of the designer and builder discussing an overview of the build process.